Taking each instrument one step further, we also introduced some incredible, optional new features to these hallowed classics, like allowing monophonic synths to become polyphonic, integrating arpeggiators, extra oscillators, LFOs, filters, and more. You’ll also find over 6,000 incredible preset sounds, created by some of the most prestigious, acclaimed sound designers in the industry. Whatever keyboard sound you need in your track, V Collection 6 has you covered. 21 seminal instruments, supercharged, and at your command. V Collection 6 gives you the keys to your very own private keyboard museum. What will you create? Mapping out and recreating every circuit, component, nuance, quirk, and spark of magic takes time and dedication. 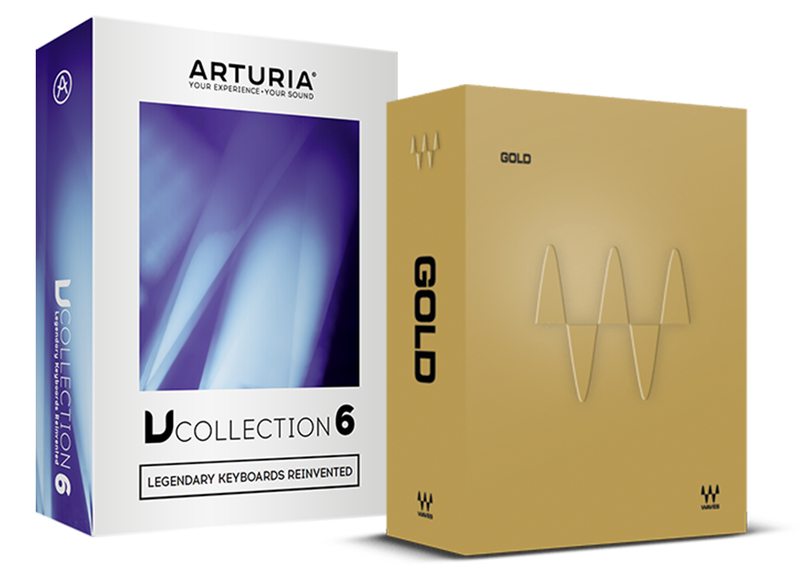 V Collection 6 lets you take full advantage of Arturia’s passion for vintage keyboards. Using exclusive modelling technology, known as True Analog Emulation®, as well as the latest physical modelling techniques, Arturia’s developers and engineers were able to perfectly recreate every element of these classic instruments. From the intricacies of the analog components and circuitry, to the character-defining reactions of the strings, cabinets, and speakers, Arturia have recreated these classic keyboards in stunning detail. BUCHLA EASEL V: recreating Don Buchla’s leftfield analog synth from 1973, the Music Easel changed the way people created sounds with performance-focused parameters, putting the focus on the artistry of being a recording artist. Perfect for exploring alternative sound design, creating ambient, widescreen textures, and unfamiliar sequences. Taking Buchla’s experimental vision one step further, Arturia have incorporated Gravity, a physics-based synth engine into their software recreation, letting you take your music where no one has gone before. to this day. If you’ve ever listened to the radio, watched a film, or owned any 80s records, you’ll have heard the DX-7. Notoriously tricky to program, Arturia’s recreation simplifies the process by vastly improving the interface, and expands its synth capabilities with a mod matrix, customizable envelopes, extra waveforms, a 2nd LFO, effects, sequencer, arpeggiator, and more. the Clavinet is everywhere. Released by Hohner in the mid-60s, its funky, energetic tone gave life to myriad genres over the decades. From disco to R&B, prog rock to pure, unadulterated pop, the percussive, soulful sound of this legendary performance keyboard is reborn in Clavinet V. Arturia’s physically modelled recreation lets you dig deeper into the instrument, changing the physical properties of the instrument, and adding classic amp and effects combos into the mix. CMI V: known fondly as the mother of all samplers, and a groundbreaking additive synth, the Fairlight CMI truly redefined pop music production following its release in 1979. Arturia’s recreation builds on the features of the original by providing 10 multitimbral, polyphonic slots to design your sound, real-time waveform shaping, effects, a sequencer, and even a brand new “Spectral” synth that can scan and mix sections of audio, letting you create your own wavetable synth sounds. The definitive 6th edition of V Collection also features 2 major updates to existing titles. PIANO V 2: the industry’s foremost physically modelled piano software suite just had an exciting overhaul. The 2nd version of Piano V features three extra piano models including a Japanese Grand, a Plucked Grand, and a Tack Upright, enhanced mic positioning, an improved EQ, a new luscious stereo delay, and an in-built compressor help your piano parts sit in your mix. The industry’s most popular plugin bundle, Gold brings a wealth of mixing and mastering power to your studio, including many of our most sought-after plugins such as the legendary L1 Ultramaximizer, C4 Multiband Compressor, H-Comp, and H-Delay, as well as key newer additions such as Vitamin Sonic Enhancer. With compression, EQ, reverb, and more, Waves Gold contains all the essentials you need to take your mixes to the next level.